Call to all Tipsy Artists!What better way to unwind after a hectic week of phone calls, emails, meetings, etc. than with art and wine?Come meet new people and share a creative time in our BYOB Painting class. We bring a fun atmosphere with great music, wine, and laughs. You are welcome to bring your own favorite bottle of wine and/or beer, as well as snacks. 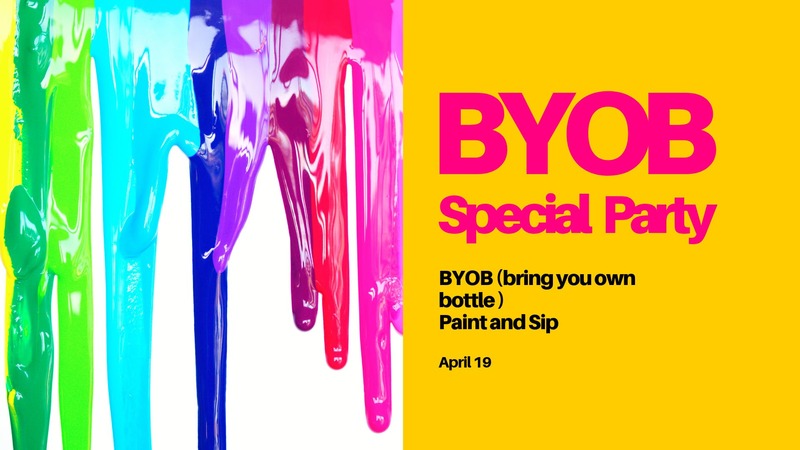 All refreshments are BYOB (Bring Your Own Bottle), but we do provide cups and cork screws.Take home your own work of art and possibly a new friendship or two!18 and older to attend and 21 to drink, IDs will be checked!